Thank you for conducting this insightful and meaningful course. 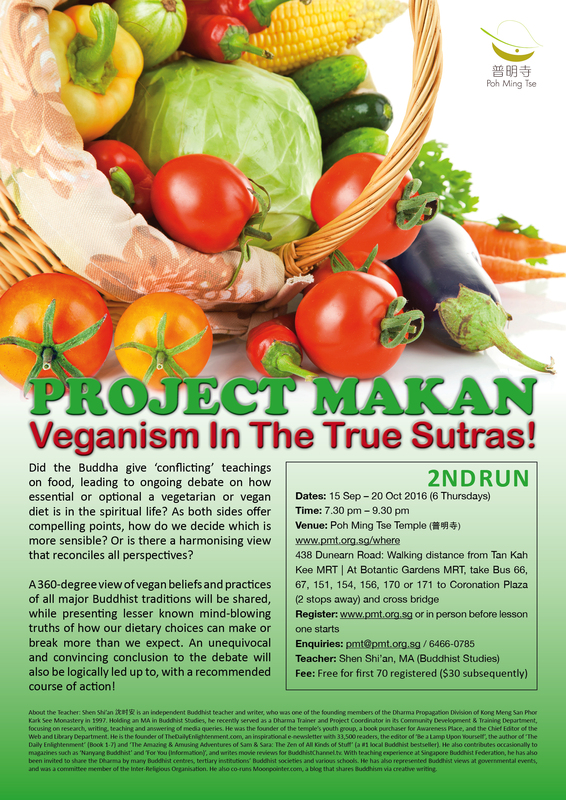 Quoting from the relevant sutras, Laoshi managed to explain in a logical and systematic way, that the Buddha in fact did not have any ‘conflicting’ teachings regarding meat-eating. This clarification is very essential and helpful for having the right view, for sharing with fellow Buddhists. Laoshi used a lot of visuals, including comic strips and videos, to provoke our thoughts and make us look within to find the answers to important questions. One very powerful comic strip was about this person who felt ‘strong revulsion’ when the killing took place just outside his house, ‘some revulsion’ when the killing took place a short distance away, but ‘no revulsion’ when the killing took place in an abattoir far away. Out of sight, out of mind? But has anything really changed?